This brick clad steel framed Grade II listed building is a decommissioned coal fired power station on the banks of the river Thames. 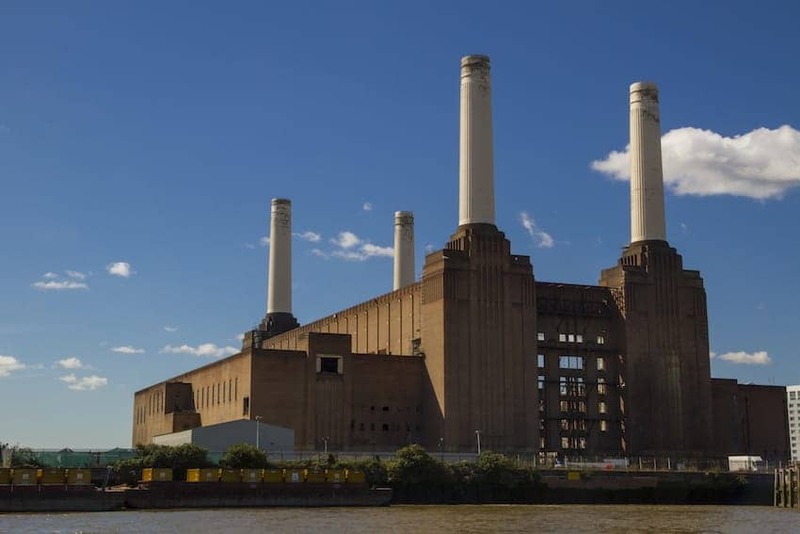 With its four iconic concrete chimneys standing 103 metres high it is one of London's most recognizable landmarks, frequently appearing in movies and TV productions. Designed and constructed in the 1930s by Sir Giles Gilbert Scott (designer of the red telephone box) and fitted with many Art Deco features, it has been unused since 1983. The derelict site is now in the hands of developers for refurbishment with phase 1 expected to complete in 2017.